Home » Athens Music Week: a weeklong Music Marathon, to discover local talents, the music scene and the sound of Athens. Athens Music Week is a weeklong music marathon to celebrate cultural and creative diversity, a week when Music becomes the heartbeat of the city and Athens becomes the ambassador of the Greek music scene. AMW was born on the occasion of the 20th anniversary of the European Music Day that started in Athens in 1999, thanks to the cooperation of the Cultural, Sports and Youth Organization of the Municipality of Athens (OPANDA) with the NPO MESO Music Events and in connection with the joint efforts for the promotion of Athens as an international destination for innovation in the music industry with the Technopolis City of Athens and the INNOVATHENS powered by Samsung. 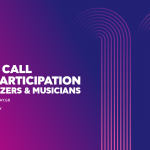 In cooperation with the Hellenic Ministry of Tourism, the Government of the Region of Attica, OPANDA, the Technopolis City of Athens and the EYED Special service of Rights Management, AMW 2019 edition settles the foundations for the first synergies of international appeal. From June 17 untill the 23rd, AMW connects educational activities, international meetings, networking events, lectures, music presentations and of live music in a single event through a common communication framework addressing to audiences, artists and professionals from greece and abroad. 1. Music & the City: Placed under a common framework of communication, Music & the City program objective is to promote Athens cultural & music scene internationally. Events includes a selection of round-tables, discussions, educational activities, exhibitions, lectures, festivals, live concerts and cultural activities that take place in the Greek capital from the 17th until the 23rd of June.